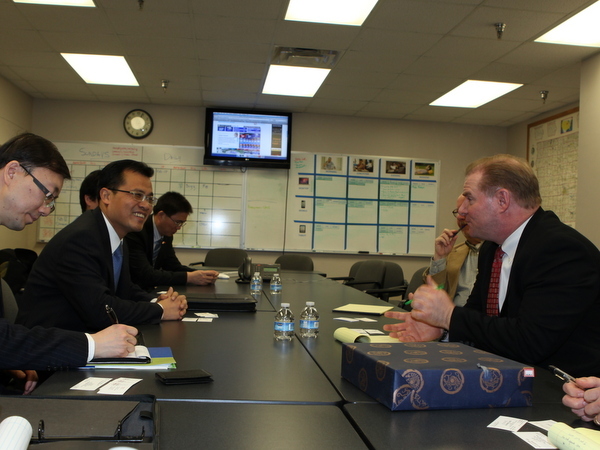 Consul General Zhao briefed Green and his colleagues on <?xml:namespace prefix = st1 ns = "urn:schemas-microsoft-com:office:smarttags" />China's economic and social development as well as its exchanges and cooperation with Iowa. He also answered questions raised by them. Commercial Counselor of the Consulate Chen Guowen attended the discussion.